They're not allowed for regular members due to overpresent content stealing. I noticed that some sites were making money on my work. The FAQs are meant to be completely free. That's why it's enough to prove that you're a Yoshi fan yourself and then your rank will be raised, allowing you to access FAQ files secion. FAQ files will be then "for your eyes only" and you musn't publish them anywhere else. 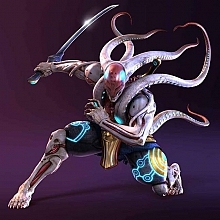 So i started search topics about yoshimitsu for knowing better how play by him. P.S: I have no idea how to prove that i'm not going to use FAQ in commercial ways. If you fell in love with Yoshi, then you're more than welcome to Manjikai community! Make this site your home. Hi Tenshi... i'm a devoted fan of Yoshi nd i guess, im ready to prove tht.... so what do i hav to do to prove myself worthy of a higher ranked fan??.. Seriously though, I think just joining in, being nice (okay, not too nice but at least respectful) and enjoying the forums is all it takes to be a great YOTian. -oh, that's my name for members here, sorry, I am strange... you'll get used to me. And for members who've been here for over a year. No sugar for me please! Hehe only joking. Welcome to Yot Manji Z-Ryshan. No no.. That would be crazy!!! Just bring your kettle and tea and make it here! !